This is a moment to sit back and enjoy the photography. 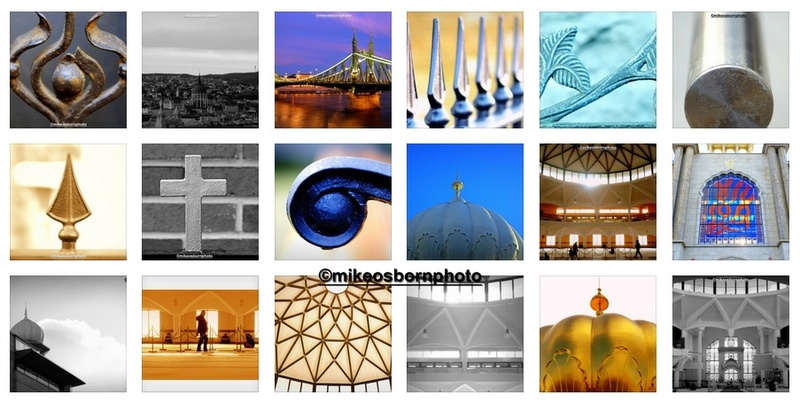 This is the 300th post on mikeosbornphoto, and marks two years of taking images and sharing them on this platform. These composites are two random slices from my media library, which has slowly grown since April 2012. 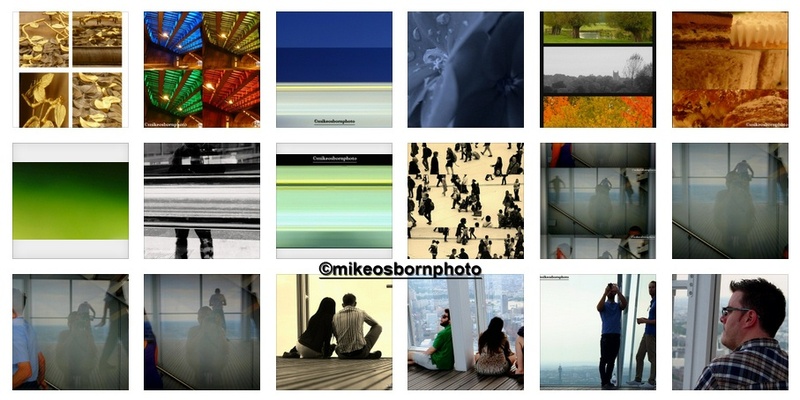 It’s a snapshot of people and places I’ve captured, from strangers to my most devoted supporter, Dermot (he’s on the bottom right of the first image, looking out from London’s Shard). This is my chance to say thank you to fellow photographers and bloggers who support every post, to those who might just visit once. They’re all much valued. The thing is, what next? A steady, satisfying momentum has established itself and I know what I really like doing. But it wouldn’t do to just stop there – plenty of challenges lie ahead. Those bloggers help with this, including amazing self-portraitist Malin Helleso, who suggests I should try turning the camera on myself. And young, talented Portuguese photographer Diogo Pereira, who is teaching me how to take HDR photographs. A very first collaboration – with my closest photo blogging comrade Richard Cooper-Knight – is also being planned. Congratulations on a great 2 years of work, some fantastic images. Much appreciated, Victor :) The “blogoversary” was at the start of the month, but 300 is a good marker too! Congrats on the 300th.! I have only been following you for about 6 months and am enjoying your moments in time very much. Love the two collection you posted today. Thank you very much, Lee. I really appreciate your regular support and comments. It’s always good to step back and have a think. Any ideas or further trips to Aus would be very welcome! Please do, Lee! I like to read it :) You have a vast and very diverse country there, I could happily come back and photograph different aspects of it time and again. Thank you very much, Richard. I think you steadfastly comment on every post, which is very much appreciated. Here’s to our little adventure later this month! Hi Mark, thank you! Wow, yes, we certainly seem to be running at a similar pace. Do you ever think about trying new things and taking a different approach, just to see what might happen? Do you mean new approaches in photography or new approaches in terms of WP/Social Media? Photography and making more of an impact, I guess. Yes….I do think I should perhaps be doing more with my photography, but when you work full time and with other life commitments it’s not that easy. I am exploring trying to sell some images locally though….but it all takes time 😊. What about you? Yes, it would be easy to devote a lot of time to this, but needs must. I’ve been trying to develop my shop on Redbubble, but that requires additional time. I was thinking of trying some new techniques like shooting HDR photos. What you can never get enough of is seeing new places, which is the best source of inspiration there is. Redbubble has made a few sales, but it’s hard to do without a full-on marketing plan. I’m glad to have a platform and unlike you don’t enjoy making up prints. I’m going to plant my tripod firmly and have a try! Hi Laura, thank you so much for taking a retrospective trawl through the archives. I really appreciate that and your comments – really encouraging. Perhaps I should devote some more time to candid shots. They’re quite a challenge and you always fear that you’ll be found out and the moment will be lost. Thanks for your support and here’s to another two years and hopefully more. I feel guilty and intrusive and am sure people see that before I’ve even clicked the shutter. Please do more candids! Congratulations, Mike! great images – look forward to many more posts! Thank you, Sheila. I really appreciated your support and interest. Thanks so much, Noeline, I appreciate your steadfast interest and support. Here’s to plenty more of that! Thank you for your support and inspiration, Malin. It’s good to take a step back occasionally.